Have you noticed a foul odor when you run the well or city-supplied water in your home? Are your water fixtures marred with rust or green-colored stains? Are you concerned about the potential for high levels of arsenic being found in water samples within the Olympia area? 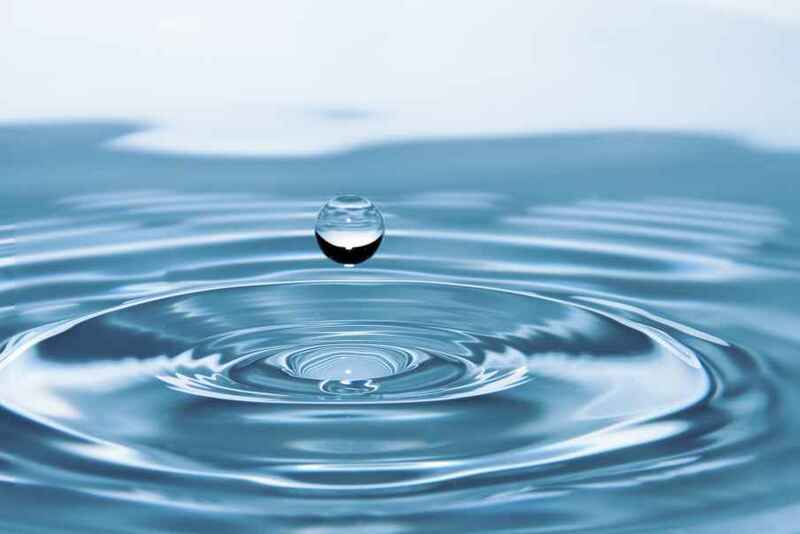 Find out what Olympia water treatment can do to change your quality of life. Unfortunately, water problems are common all over Western Washington, and they can lead to costly plumbing bills due to pipe corrosion, unsightly hard water staining on your home's fixtures, and there is even the potential for developing health problems. The best and most cost efficient solution to your water problems may be to install an Olympia water filtration system, fully customized to your unique situation. The quality of your water matters. Whether you're concerned about the viability of your drinking water, or are simply considering a water softener to battle hard water issues, our experts can design and install an Olympia water purification system that will solve your problems. Don't take any chances with your water. Contact us today at (253) 630-7177 or (800) 377-7401 and find out if you would benefit from an Olympia water filtration system. We keep our overhead low and our margins modest, so you will likely be surprised by how affordable your Olympia water purification setup will be. A settlement of longhouses as built at a series of waterfalls on the Deschutes River by the Squaxon and Nisqually Native Indian tribes. These tribes named the river Tum-wa-ta, which translated into strong waters. A Lieutenant in the US Navy named Charles Wilkes named the bay Budd Inlet. A man named Michael Simmons was the first American settler in the region. At the waterfalls on the Deschutes River Mr. Simmons built a gristmill and a sawmill that he called New Market in 1845. During the 1860’s, New Market was renamed to Tumwater. Two men named Edmund Sylvester and Levi Smith arrived in the area and filed claims on which Mr. Smith built a small cabin in 1846. Mr. Smith named the small community Smithfield. Although he accidently drowned on his way to the first session, in 1848, he was elected to the Oregon Territorial Legislature. By virtue of their joint claim, Mr. Sylvester inherited the land. Many settlers, including Mr. Sylvester, left the area for a short time as a result of the 1846 California Gold Rush. Mr. Sylvester returned with sufficient gold dust to start buying goods and land and goods and established a community. By then, Settlers were being funneled to Puget Sound from the Columbia by the Cowlitz Trail where Smithfield was located. Mr. Sylvester held a dedication ceremony for his new community and invited fellow gold seeker and pioneer Isaac Ebey in 1850. Some investors along with Mr. Ebey and Mr. Sylvester bought the first ship in Puget Sound that summer named Orbit. A man named Michael sawed some pilings in his mill that the Orbit delivered to San Francisco and returned with goods for the growing community. In 1851, the US government opened a Customs house in Olympia. The Collector of Customs set up shop in the largest building in the community. A man named Isaac Stevens was appointed as head of the transcontinental railroad survey, Superintendent of Indian Affairs, and as territorial Governor by President Franklin Pierce. In 1853 Governor Stevens arrived in Olympia. He designated the community to be a territorial capital. The community had a population of 100 people. Governor Stevens traveled about the area to convince the tribes to relinquish their title to the lands. In 1854, at Gold Bar Store, the first legislature convened. This started a cycle of legislative sessions that would define the culture and development in Olympia. The lawmakers elected not to grant women the right to vote and organized school districts. More county and state officers were appointed and counties were organized. Treaties with the tribes that Governor Stevens signed relocated the tribes to small reservations where they were expected to become farmers. Between 1855 and 1856, the Indian Wars were the result of the inequities of these treaties. During this same time, Olympia became the headquarters for the military of the territory. In late 1855, Governor Stevens declared the war over but Seattle was attacked the next month. During the 1930’s, Olympia suffered because of the Great Depression. The Unemployed Citizens League staged a march from Seattle to Olympia in 1933. They descended on the small community to demand that the legislature or the governor provide relief in the form of free gas, light, and water, a prohibition on foreclosures, and unemployment insurance. They were met with State Troopers in the halls and locked doors. With the advent of WW II, the Great Depression ended. The shipyards in Olympia were very busy. Mothball fleet of as many as 155 ships was moored at Gull harbor for the next 30 years following the war. The port continued to be busy during the 1940’s. During the 1960’s three large lumber mills were added to Olympia. The Evergreen State College opened on 1,000 acres on Cooper point with both innovative educational and original architecture strategies in 1972. Olympia was one of the fastest growing regions in the US by 1977. Tumwater, Lacey, and Olympia, grew into one metropolitan region, although they are politically distinct. During the 1990’s the downtown was revitalized with a historic preservation program to rehabilitate old buildings and to identify the significant properties. The Old Olympia Firehouse and the Thurston County Courthouse were renovated and placed back in action. The population of Olympia increased to over 200,000 people between 1960 and 2000.